So This Just Happened: 5 Airlines Have Banned The Use Of Samsung Galaxy Note 7 On Board! You probably have heard of the saga surrounding the Samsung Galaxy Note 7 recently. This has prompted a huge bag of reactions throughout the world, but none more so than airlines who have started banning the phone on their flights. 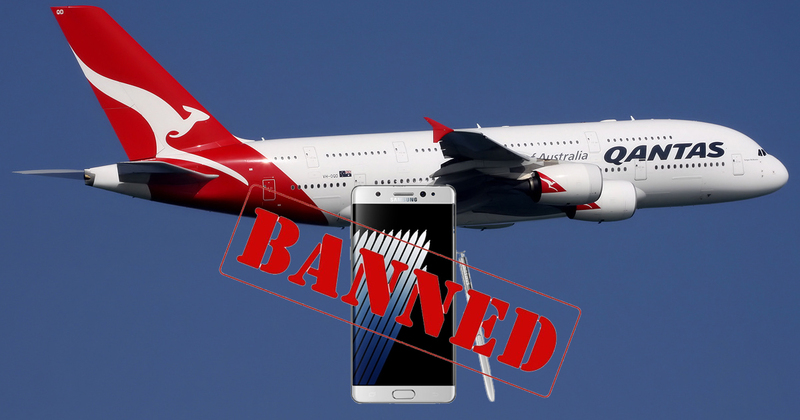 As of now, Qantas, Jetstar, Virgin Australia, Singapore Airlines, and Tiger Airways have come out to announce a ban on the use of Samsung’s Galaxy Note 7 on board. This comes as a response to the possibility of the phone’s battery coming under stress while charging, and exploding as such. So if you are a current user of the Note 7 and are going to travel sometime soon, we suggest you get a spare phone handy and leave your newest acquisition at home until Samsung sorts out the situation.